SPOILER ALERT: This week’s Eviction and Head of Household results are in! Continue reading to see who was evicted and who won the Head of Household competition. By a vote of 5-1, Brendon was evicted from the Big Brother house. Next Thursday will be a double eviction. The houseguests have to fill up a cup with soap and transfer it to a bowl at the other side of the backyard. The first to fill their bowl will become the new Head of Household. 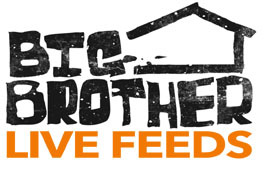 You can watch the Head of Household competition play out LIVE using a FREE TRIAL of the live feeds. Turn on your live feeds and watch with us! Click here to start your free trial. 7:07pm – The live feeds show that most of the houseguests are even at the moment. 8:38pm – Jeff won this week’s Head of Household competition. Stay tuned and turn on your live feeds to see what happens in the house this week!